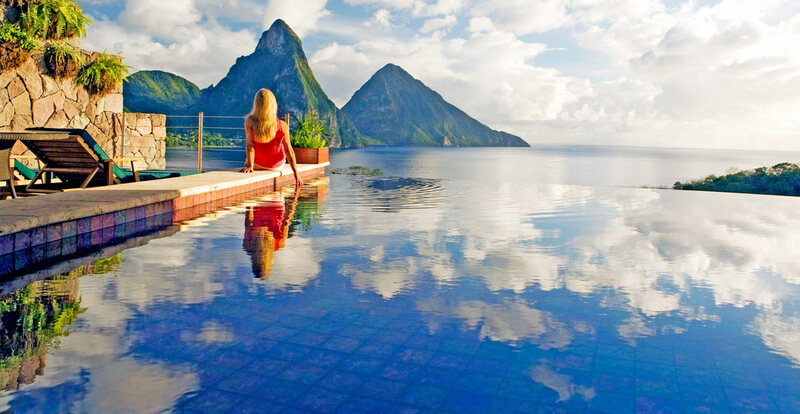 JADE MOUNTAIN's ensuite infinity pools are not accoutrements, but primary elements of the building's design. With sizes ranging from 400 to 900 square feet, the design of each pool is unique both in colour and shape. The infinity pools are meant to serve as organic components in each suite, as well as in the building as a whole; their sizes increase in relation to the different square footage of the different room categories: GALAXY, SUN, MOON and STAR. All pools feature shallow water lounging areas in addition to a large swimming area. 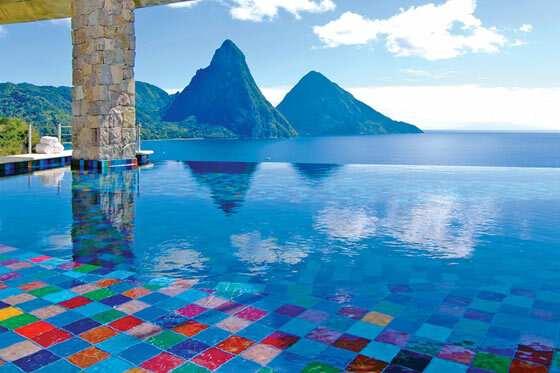 They have been surfaced entirely in one-of-a-kind glass tiles, which have been specifically designed for JADE MOUNTAIN. The glass tiles feature a sophisticated, textured iridescent surface on one side and a smooth but undulating surface on the other. 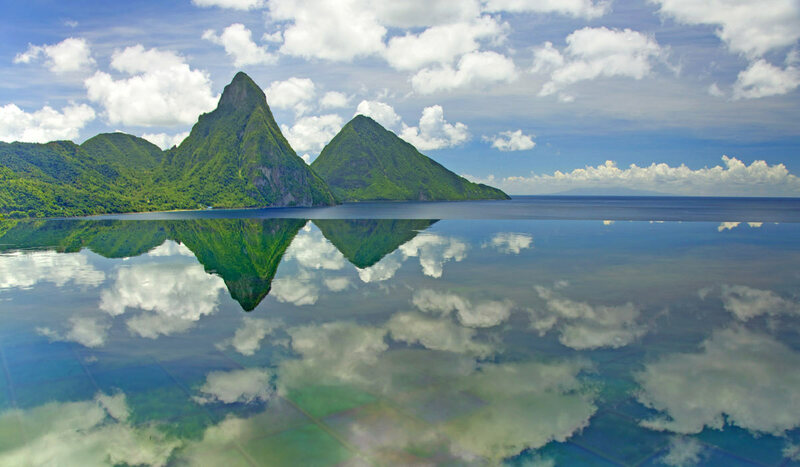 Jade Mountain was conceived as a place in which guests would be exposed to a carefully orchestrated sensory experience. 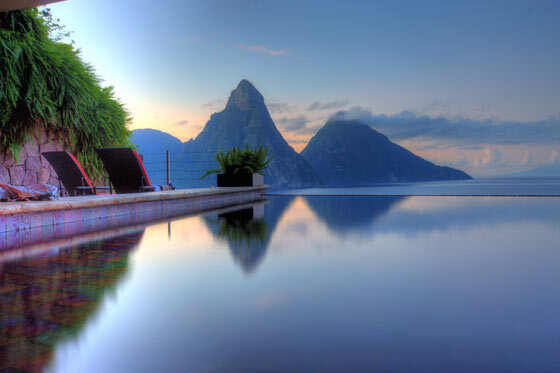 The infinity pools are integral to this. As a visual element, water flowing over a vanishing edge serves to draw the view into the room, linking the view with water, and water with sky and land, sun and stars.